Where Potential Comes to Life for Mosaic, Omaha, NE. Winner/Chris Plaque/Columbus International Film/Video Festival. Honorable Mention/U.S. Film and Video Festival. Triumph of Success for Mosaic, Omaha, NE. Honorable Mention/Columbus International Film/Video Festival. Heart of Hospice for Methodist Health System, Omaha, NE. The Hero for Children's Hospital, Omaha, NE. Winner/Silver Screen Award/U.S. Film and Video Festival. You're Not Alone for Bethesda Lutheran Home, Watertown, WI. 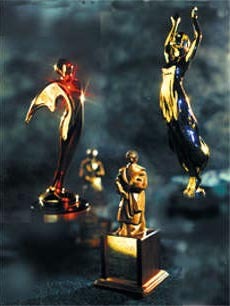 Winner/Chris Award/Columbus International Film/Video Festival. Winner/Creative Excellence/U.S. Film and Video Festival. Missionaries of the People for the Columban Fathers, a religious community serving through world missions. Cindy Bronze Award/International Cindy Awards. Miracle in the Inner City for Catholic League for Civil Rights.